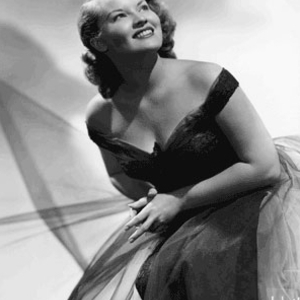 Patti Page (born Clara Ann Fowler on November 8, 1927 in Claremore, Oklahoma (some sources give Muskogee, Oklahoma) is one of the best-known female singers in traditional pop music. She is the best-selling female artist of the 1950s and was among the first to cross over from country music to pop. Her recording career spans the years 1947 to 1981. Page continues to perform live and was billed as "The Singing Rage, Miss Patti Page". Page made the country chart in up to 1983, with her biggest hit during that time being "Hello, We're Lonely," a 1973 #14 duet with Tom T. Hall. In the 1990s, Page started her own label, C.A.F. Records. In 1998, she won a Grammy as "Best Traditional Pop Singer". Patti has continued to record into the new millenium with the CDs BRAND NEW TENNESSEE WALTZ, SWEET SOUNDS OF CHRISTMAS (2002), CHILD OF MINE (2003) and her latest 2009 release BEST OF COUNTRY. Many of her songs have a strong beat to them that prelude rock 'n' roll. These titles include "Mister and Mississippi", "Detour" and "Cross Over the Bridge". In 1956, she married choreographer Charles O'Curran. They adopted two children, a daughter, Kathleen, and a son, Daniel O'Curran. All great recordings.